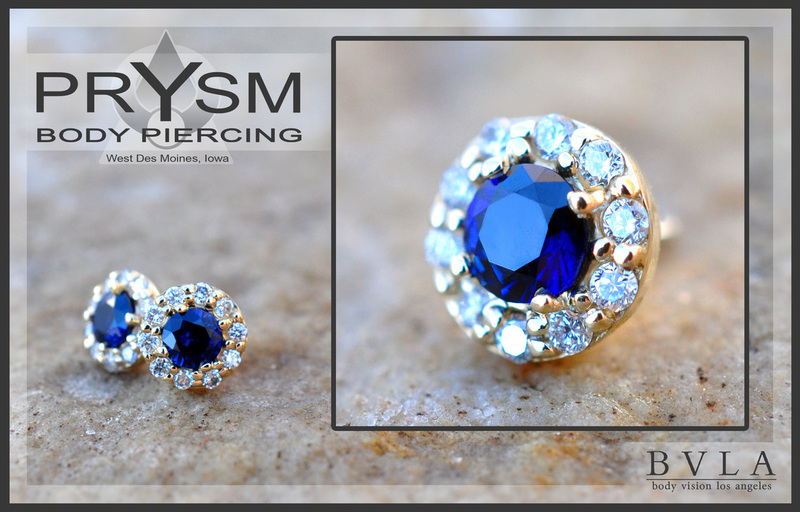 At Prysm Body Piercing, we are experts in combining art, technique, education, safety, and the best jewelry available to provide you with the ultimate piercing experience. Our studio continually exceeds the Association of Professional Piercers (APP) minimum safety standards. Our staff, who are APP members, educators, and volunteers, work hard to achieve this. We believe in ensuring the entire piercing experience is a positive one, so we design our studio policies and procedures to maximize success. We believe that every piece of jewelry that a person wears should be ideal in both form and function. We consult with each client to ensure the jewelry and piercing will work with their specific anatomy, lifestyle, appearance, and desired outcome. If you can dream it, we can create it! We enjoy designing and customizing jewelry that is sure to be a one-of-a-kind piece of art that our clients can enjoy wearing throughout their life. Thank you for Voting us Des Moines' Best Body Piercing Studio, 5 years in a row!